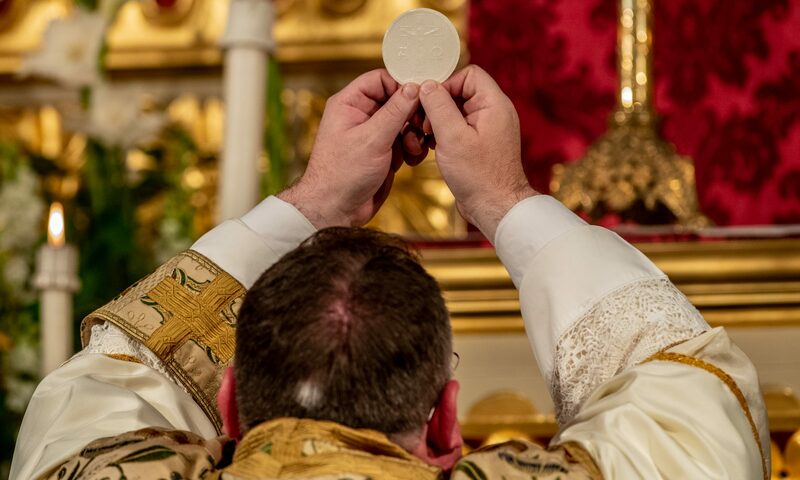 The aim of the Restoration project here at Corpus Christi has been to make the church a fitting and dignified Sanctuary of the Blessed Sacrament. As we draw to the end of the building work, we turn our sights to the decorative and devotional elements of the church. 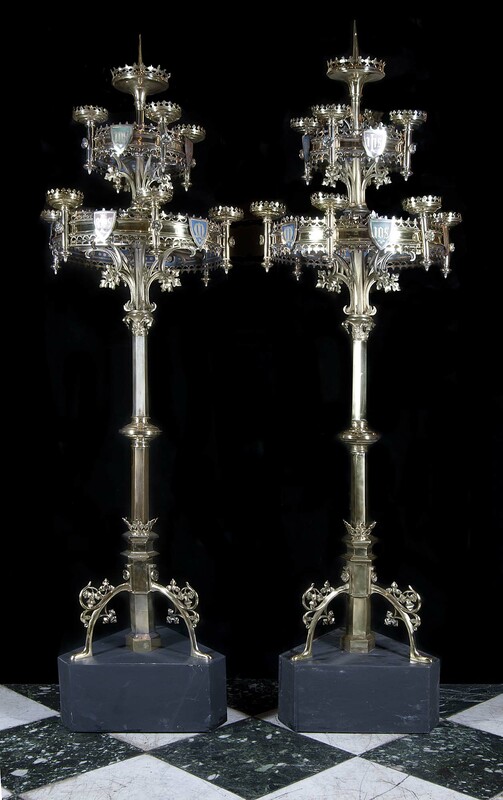 The candelabra pictured would be bought to stand either side of the Altar and would be used particularly for the annual 40 Hours Devotion. They will cost £6,000 and so we are looking for donations to be able to buy them. Might you please be able to help? Benefactors are recorded in the Benefactors’ Book and are remembered at the Altar in a specific Benefactors’ Mass each month. If you would like to contribute, please use the Donate button below, which will take you to a secure PayPal donation form. A PayPal account is not necessary.